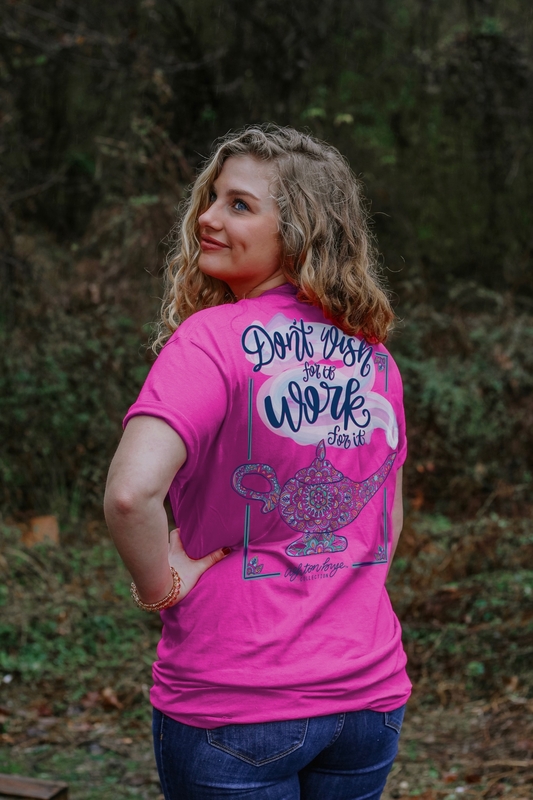 Don't Wish for it, Work for it! 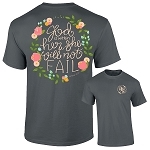 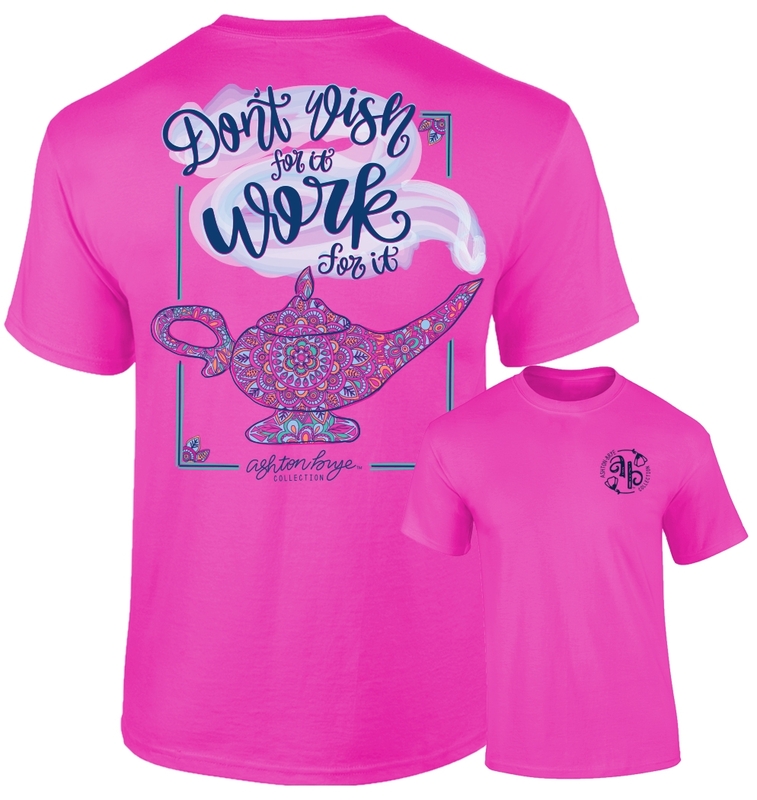 This Ashton Brye tee features a detailed genie lamp with the phrase "Don't Wish for It, Work for It" It is printed on the back with the Ashton Brye logo on the front. 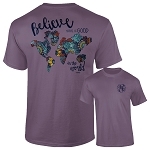 This design is printed on a Berry Comfort Color. 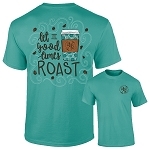 The Ashton Bryeâ„¢ Collection is a unique, exclusive collection of hand-drawn apparel that represents all things Southern.